Easier Printing, Faster Setup, and Secure Browsing with JxBrowser 6.23! 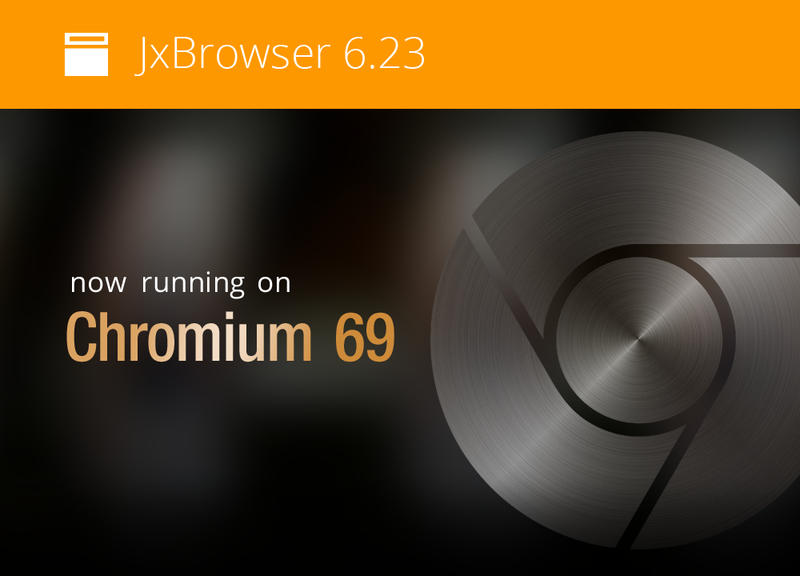 We are glad to announce the release of the new JxBrowser 6.23 running on Chromium 69! Time-saving: allowing you to print on any device with a single driver, and reducing pre-launch setup on Linux. Better-performing: displaying the web pages precisely as conceived by the maker, and working reliably in medical diagnostics environments. More secure: allowing you to forbid automatic data sharing with Google servers, and launch JxBrowser under Java Security Manager with required access levels. See the Release Notes page for the detailed inventory of the new opportunities. Try it out and let us know how JxBrowser can be improved to serve you better.